Aberdeen Florists expertly arrange flowers the same day which are perfect to give to anyone as a Thank you present. Our expert florists have a selection of arrangements which are beautiful and fragrant which we can send the Same Day to anywhere in Aberdeen and the North East. Flowers are a great way of thanking someone for whatever reason. You can send the flowers in a vase which is a great way of sending a gift ready to be enjoyed instantly. 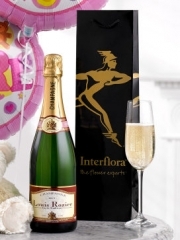 Our Aberdeen Florists also have a selection of Champagne & Wines which can be sent with your flowers or by themselves. Other gift items include chocolates, balloons and teddies which our Aberdeen Florists can send to any address you specify to put the finishing touches to your gift. This service is great because it allows you to order everything from the same place and have it all delivered together so that you can really make someone’s day with the help of Aberdeen Flowers. We include all these extra items because our Aberdeen Florists know that this is the best way to save you time and worry about ordering from multiple suppliers because you can trust Aberdeen Flowers to bring you everything you order. Our Aberdeen Flowers drivers are always quick and careful with your delivery so that the person you want to thank receives everything in perfect condition. You can even ask for same day delivery on your Aberdeen Flowers so that your order arrives on the day you request it. For this we ask that you give us enough time to prepare and deliver your flowers and gifts with the care they deserve by placing your order before 3pm. We have created a variety of gifts which are a great way of expressing your gratitude, whether it's thanking someone for dinner or a party. Perhaps someone helped you move. Aberdeen Flowers have the flowers and gifts to send to show your thanks. If you can't see exactly what you want on our website, then please phone one of our expert florists who will be happy to help arrange something perfect for you. Aberdeen Florists offer this bespoke service because we know that sometimes you just want your flowers to be something special and unique that is sure to stun them. If you want to include their favourite colours or flowers or order something that you know will be perfect for your occasion you can talk to our Aberdeen Florists who will be able to realise your vision for flowers just as you always imagined them. Every detail of your Aberdeen Flowers can be up to you with this service. Aberdeen Flowers have been established for over 40 years and have a long and proud history of supplying flowers in Aberdeen and the North East of Scotland. With our network of florists we can send flowers in the UK and also internationally in over 140 countries throughout the world. For our Aberdeen Florists the top priority is always customer satisfaction and we work tirelessly to bring you a great service so that you have everything you need to thank someone or for any other occasion for which you want to order Aberdeen Flowers. 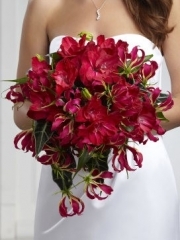 Aberdeen Florists pride themselves on the great quality of everything we provide so you can rest assured that your order is in safe hands here at Aberdeen Flowers because all of our team is always ready to attend to your every need. Please contact Aberdeen Flowers over the phone, online or in person in our Aberdeen shop so that one of our team of Aberdeen Florists can help you.